The measures taken by the Government to improve liquidity of the sugar mills enabling them to clear cane price dues of farmers, have a salutary effect on reduction of cane price arrears for 2014-15 sugar season which has come down from Rs. 21,000 cr to about Rs 2,700 cr as on 12.01.2016, even below the arrears in the corresponding period in last sugar season. 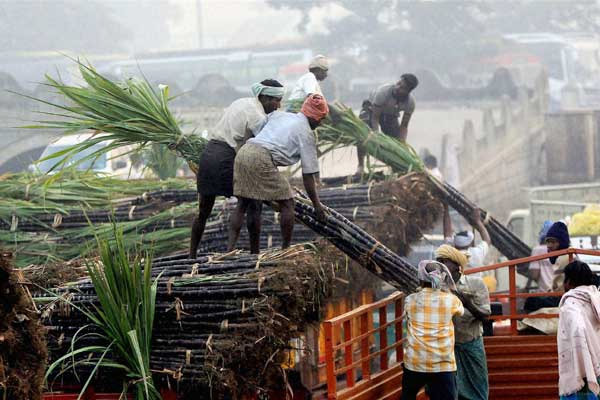 To mitigate the situation and protect livelihoods of cane farmers, the Central Government has, in the last one year, taken several measures to improve liquidity position of sugar mills enabling them to clear cane price dues of farmers i.e. provided incentive on raw sugar export, extended financial assistance in the form of soft loan, fixed remunerative price for and waived off excise duty on ethanol supplied under Ethanol Blending Program (EBP) and more recently a production subsidy to sugar mills to offset cost of cane and facilitate timely payment of cane price dues. It is also noteworthy that the sugar industry is now active in the Ethanol Blending Program, by supplying 6.82 cr ltrs of ethanol to Oil Marketing Companies during the current sugar season (since October, 2015) as against mere 1.92 cr ltrs supplied during the corresponding period in the last season. Furthermore, the contracted quantity under EBP is at an unprecedented 120 cr ltrs in the current season which a historic high.